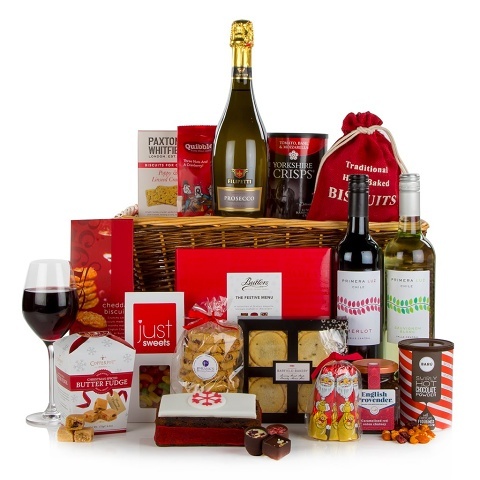 As the name suggests, this hamper provides all the ingredients for a tasty festive season crammed into a willow basket perfect for the whole family. Copperpot Christmas spiced butter fudge, a fine Prosecco and a box of festive chocolates are rubbing shoulders with Paxton & Whitfield poppy and linseed biscuits and a fantastic pair of Primera Luz Chilean wines. With such variety, there will be something in here to please every member of the family. The Taste of Christmas Basket Hamper is also available in a really convenient 100% recyclable festive carton.